Part of the experience of creating the forthcoming new edition of Blue Rose, following our successful Kickstarter, is the process of taking the original rules of the game, which were the first iteration of what became the True20 System and converting them over to the Fantasy AGE System. 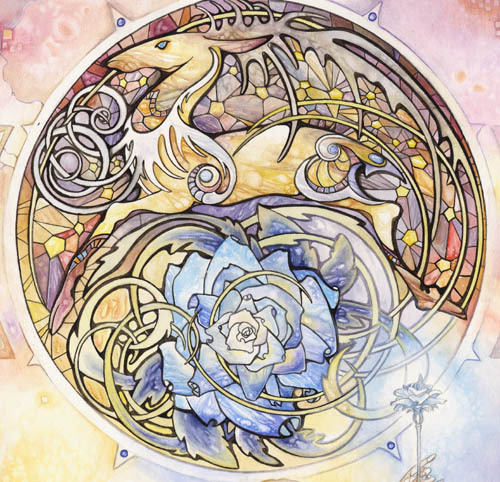 Game system certainly does matter when it comes to game experience, so we wanted to make sure Blue Rose both took full advantage of the best qualities of the AGE System and that the rules adapted, as needed, to fit the world of Aldea and the romantic fantasy style of Blue Rose. Some things were easy: Fantasy AGE character creation is based off of three classes: Mage, Rogue, and Warrior. Blue Rose character creation was also based off three classes: Adept, Expert, and Warrior. The three mapped almost exactly. On the other hand, Blue Rose adepts are not quite Fantasy AGE mages. 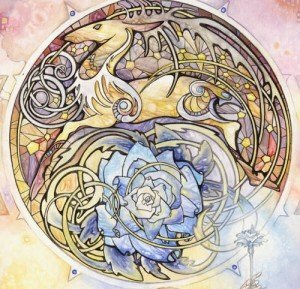 Indeed, Blue Rose needed a whole new system of arcana to reflect the more psychic-based style of magic found in the setting. Similarly, the expert class needed additional breadth to handle many more socially-focused characters in Blue Rose, in addition to the sneaks, scouts, and swashbucklers. 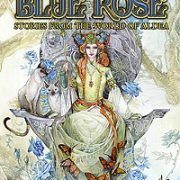 Likewise, Blue Rose called for new races and backgrounds, since the world of Aldea doesn’t feature the same fantasy races found in Fantasy AGE, and its cultures have different backgrounds. Whereas Fantasy AGE devoted a fair amount of space to detailing the various kinds of equipment and gear adventures outfit themselves with, Blue Rose doesn’t focus so much on such things, so we needed to condense and simplify the rules for weapons, armor, and miscellaneous gear of all kinds. The original edition of the game was heavily driven by Feats, individual special abilities characters acquired both at creation and as they advanced. 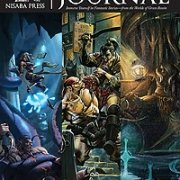 Fantasy AGE, on the other hand, is largely driven by Talent, three-tiered sets of abilities which improve as characters advance, similar to many of the feat-chains or advancement paths set forth in the Blue Rose Companion. We had to consider in many cases whether or not a particular feat needed to become part of a Talent (or get expanded out into an entire Talent unto itself), become a Focus, or perhaps a class power or even arcanum (as most of the supernatural feats became). The core of the game remains very much the same, with the same abilities, the use of focuses (although there are some new ones associated with the setting), and the use of tests and the stunts that may result from them. There are some new stunts, naturally, and a new way of generating stunt points from the intensity of characters’ relationships, perfect for that needed-right-now stunt to save a hero’s beloved, or strike down a hated enemy. There are also new persona mechanics to determine a character’s Calling as well as their Destiny and their Fate, their “highest” and “lowest” expressions of their nature, the good and bad impulses that exist within us all that help to drive characters. 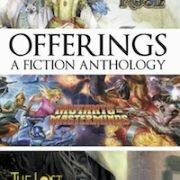 One of the best results of the conversion experience is the opportunity for players of Fantasy AGE to take and adapt what has been built for Blue Rose and fold it back into their own games. Even if you’re not playing in the world of Aldea, there’s nothing saying you can’t use the new backgrounds, talents, specializations, arcana, or game mechanics like relationships or persona. 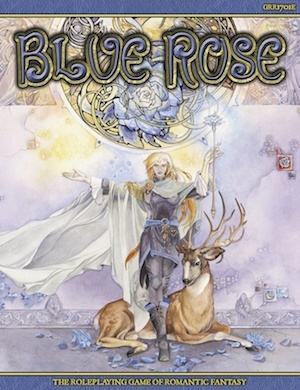 They make Blue Rose a big Fantasy AGE add-on sourcebook unto itself! We’re looking forward to getting Blue Rose into production and into your hands this summer so you can see for yourselves the results of our efforts and either return to the world of Aldea or visit anew to create your own adventures. Enter the Blue Rose T­-Shirt Contest!